A new model of air purifier in the PRIME3 offer. Warsaw, 27 December 2019 – 2N-Everpol Sp. 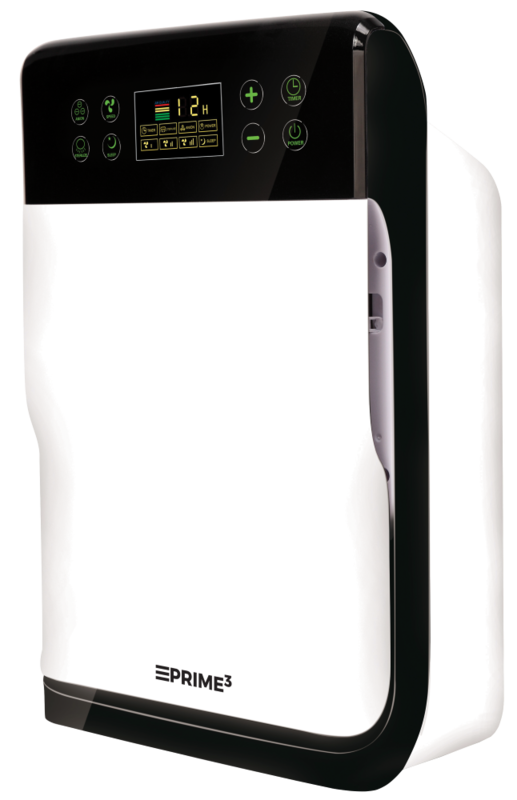 z o.o., an exclusive distributor of PRIME3 has introduced a new model of air purifier SAP51. Polluted air does not help anyone. Headaches, fatigue or allergies are ones of the most common side effects. They tend to intensify along with the deterioration of air quality, especially during the heating season. Then the smog, suspended dust and unpleasant odors coming out of the chimneys exceed the acceptable norms. 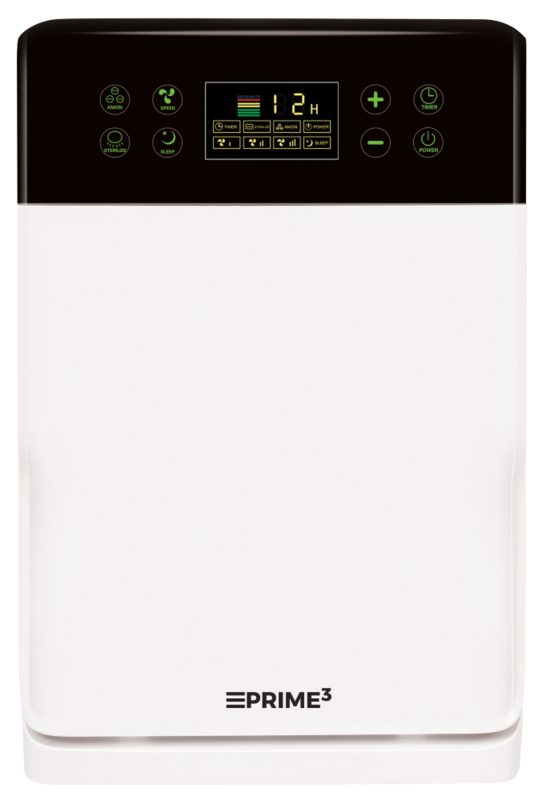 The SAP51 air purifier offers a 7-step air purification process, thanks to which it removes all pollution in the form of dust, bacteria and viruses, as well as various types of allergens. Five filters, in which the SAP51 model (initial, cold catalysis, activated carbon, antibacterial and HEPA) was equipped, ionizer and UV lamp guarantee removal of 99.95% PM2,5 suspended dusts (with a diameter not greater than 2.5 μm) , 99.99% bacteria and viruses and 99% volatile organic compounds, e.g. formaldehyde. The mechanical pre-filter is designed to clean the air of all major solid pollutants, such as dust, hair or animal fur. The use of an activated carbon filter aims to neutralize unpleasant odors and volatile organic compounds. Mounted as the third, cold catalysis filter, it is a modern filter that removes carbon monoxide, hydrogen sulphide, ammonia, benzene, formaldehyde and other harmful volatile organic compounds from the air. The antibacterial filter, as the name suggests, has the task of eliminating bacteria, viruses and mold and preventing their development in the device itself. In the last stage of filtration, a HEPA filter was used. Its task is to retain the smallest particles of pollution, as well as all unpleasant and harmful odors and volatile compounds. 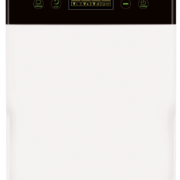 Ionizer is another element of the comprehensive air purification system. In the SAP51 model, the ionization efficiency is very high – 10×106 ions per second. Thanks to this solution, the device almost completely eliminates the harmful effects of positive ions emitted by electrical equipment. Positive ions that attract bacteria and viruses as well as airborne fungi, molds and other allergens, lose their properties due to ionization. The air saturated with negative ions causes that all microorganisms fall to the ground and in this way do not reach the lungs of the household members. The last purification stage is the use of a UV lamp which light damages the cell nuclei of microorganisms (bacteria, viruses, fungi). 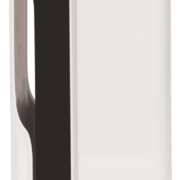 It has a supporting function, ultimately sterilizing the air flow that goes through the device. 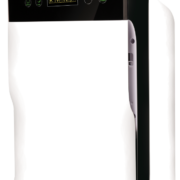 The SAP51 air purifier has been designed for areas of up to 40 m2. The reason for this is high CADR efficiency index (Clean Air Delivery Rate), thanks to which it is able to deliver up to 165 m3 of purified air per hour. The electronic control system, in which the SAP51 model is equipped, allows for easy and intuitive management of the purification process. The air quality indicator displays its quality on a scale from green (very good) to red (very dirty) lines. The device operates at three speeds, which can be controlled on the control panel or by remote control – basic (500 rpm), medium (700 rpm) and high (900 rpm). You can check the current speed on the cleaning speed indicator located on the control panel. An important feature of the SAP51 is the timer function. Thanks to it, you can determine how long the device will work. This may be at least 30 minutes, maximum 12 hours. After this time, the purifier will turn itself off. SAP51 is characterized by low-noise operation. Depending on the speed at which the device is currently running, it varies from 25 to 40 dB. The remote control has the same set of buttons as found on the control panel. Thanks to this, controlling the device is easy and intuitive. The remote control is powered by batteries included in the set.